I don't understand why you played around so much with the colors. I guess blue isn't as "loud" as red, but then you desaturated pretty much everything else. I bet straight b&w would have been a better choice. fun color treatment with the silvers and blues. I like the different coloring on this one. I am not sure shifting the red to blue adds anything to the picutre. 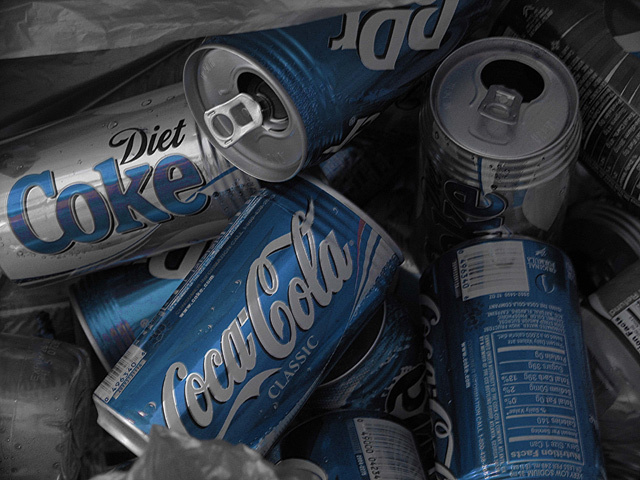 It sure is original seeing a blue Coke can. Proudly hosted by Sargasso Networks. Current Server Time: 04/26/2019 09:40:15 AM EDT.